Now that Pride weekend in Vancouver is over–the dyke march, the jaw-dropping Man Up-produced drag shows at the Cobalt, and the fabulous Unicorn Born: Genderfest EastVan Dance Party (I definitely recommend checking out any other Genderfest events! )–it’s time to slow things down a bit. Thanks goddess the Vancouver Queer Film Festival starts in nine days! As I mentioned in my last post about the Queerotica reading (happening tonight and featuring the VQFF’s director of programming Amber Dawn!! ), the line-up this year looks especially fabulous; I’ll just highlight a few of the women’s films I’m especially looking forward to. Recommendations from other festies–queer film festival goers–are very welcome! Mosquita y Mari is a coming-of-age film about two East L.A. Chicana teenagers–one a dedicated straight A student and the other a rebellious tough girl–learning to first support each other in their friendship, which ends up evolving into something more. Dealing not only with issues of teenage queer sexualities, the film also interrogates poverty, racism, undocumented families/workers in the U.S., and the chase for the American dream. First-time filmmaker Aurora Guerrero counts other queer feminist women of colour artists Audre Lorde, Gloria Anzaldúa, and Chrystos among her inspirations–is that incentive enough to go see this film? 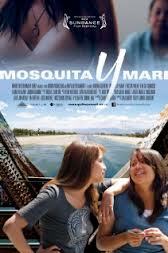 Mosquita y Mari is playing on August 17th at 7pm and the 24th at 9pm. Kiss Me (Kyss Mig) is a Swedish lesbian love story that recently got an enthusiastic review from afterellen.com. As that reviewer points out, the premise of this movie might make you a bit suspicious: a woman engaged to a man falls for a lesbian, has to deal with the whole “am I queer?” thing. Apparently, though, the film makes it clear the engaged character Frida identifies as bisexual–and she’s falling for her future stepsister, Mia; drama of course ensues. The trailer and reviews show that this well-done film deals with the complexities of not only queer sexualities but family dynamics compassionately and with an attention to detail. The best part? It looks like it has a happy ending! We definitely need some more of those queer love stories. Kyss Mig is playing August 17th at 9:30 (following Mosquita y Mari) and August 23rd at 5pm. So Hard to Forget (Como Esquecer) is a Brazilian film based on a book about a group of friends–a lesbian, gay man, and a straight woman–all suffering from heartbreak of some kind. They leave the city for a kind of pity party get-away but end up finding new love interests; the story, however, isn’t a simple tale of finally getting over your last heartache but about friendship, queer identity, and the complexities of loving after you’ve been hurt in the past. Check out this interview with the lesbian director Malu de Martino. You can see Como Esquecer August 18th at 9pm. Revoir Julie and La Fille de Montréal are the two films by this year’s featured director Jeanne Crépeau, a lesbian Québécoise filmmaker–the first openly lesbian director from Québec, in fact. La Fille de Montréal (the Montreal girl) features an artist forced to move out of her long-time apartment in Montreal, evoking a trip down memory lane and a realization of the changes happening in Montreal’s artist neighbourhoods and Boulevard Saint Laurent (also known as the Main, as in Gail Scott’s novel Main Brides reviewed here). Revoir Julie (revoir meaning to see again, as in ‘au revoir,’–until the next time we see each other) is Crépeau’s debut film from 1998 about a lesbian couple reuniting after a fifteen-year lapse. Crépeau is going to be at the screenings of both films–the night of August 20 at 7pm and 9:30pm–for a Q & A: a great opportunity to talk to a veteran Canadian lesbian director, who’s been working in film for 25 years! French director and screenwriter Céline Sciamma’s new film Tomboy has been getting rave reviews, such as at Diva magazine; it’s an apparently beautifully done story about an androgynous ten-year-old girl who takes on a boy’s identity for the summer, after moving to a new neighbourhood. What I find fascinating about this film is the how Sciamma explains whose story she intended to tell: in an interview with afterellen.com, she answers the question of whether the main character was supposed to be a young lesbian or a trans man like this: “I wanted to keep all the hypotheses open when I was building the character. Not to avoid answers, but to make it more complex and accurate. That’s what interested me in setting that story in childhood. It’s a time where everybody pretends to be someone else for an afternoon, everyone makes up stories about themselves. I made it with several layers, so that a transexual person can say ‘that was my childhood’ and so that a heterosexual woman can also say it. The movie creates bonds. That’s something I’m proud of.” Tomboy is showing on August 20th at 7pm and the 21st at 9:30. Difficult Love is a documentary about Black South African photographer Zanele Muholi, whose work focuses on documenting the lives of Black lesbians and other queer people in South Africa. Although dealing with the devastating theft of years of this work earlier this year–a theft that clearly was targeting the political imperative of her work, the film also showcases the love and devotion Muholi continues to have for the work she calls her duty and responsibility. Muholi is co-director of the film with Peter Goldsmid. You can see Difficult Love August 25th at 7pm. I’m also excited to see the night of shorts by local queer Vancouverites–“The Coast is Queer” on August 24th at 9:30pm and a night of films and live performances on diverse queer Canadian identies “From Coast to Coast is Queer” on the 25th at 9:30. Many of the directors will be in attendence! Check out the festival’s website for more info on schedules, film trailers, pre-and-post film parties and events, volunteer opportunities, and tickets. You can also get tickets and programs at Little Sister’s Book and Art Emporium on Davie St, or at the door the day of the film–if there’s any tickets left then! For news on the festival, you can also follow them on twitter. Are there any other films at the festival you’re excited about in addition to the ones I’ve highlighted? Have you seen any of these films already? This entry was posted in Amber Dawn, Black, Canadian, Coming-of-age, Lesbian, Montreal, News, Non-Canadian, Queer, Transgender, Vancouver and tagged difficult love, drama, entertainment, film, jeanne crepeau, kiss me, mosquita y mari, so hard to forget, tomboy, vancouver queer film festival. Bookmark the permalink. Every year my partner and I (both lesbrarians) make sure to take at least a week off at VQFF time and this year’s no different. We’ve got tickets to six films. I’m excited to see Lena Endre in Kiss Me. She was fabulous in Girl with the Dragon Tattoo. Also very much looking forward to The Coast is Queer. The VQFF is definitely worth taking some time off work to go see! I didn’t realize one of the same actresses from the Girl with the Dragon Tattoo was in Kyss Mig. The Swedes do have some amazing films!